TOWER BELLS.- The peals of Surprise Maximus remain the same, the decrease in peals of Cambridge being offset by those of Pudsey. Treble Bob Maximus have increased by 5 and other Maximus methods have decreased by 3. Stedman Cinques have increased by 4 and Grandsire Cinques by 3. Surprise Royal show 6 more, all of Cambridge. Treble Bob Royal have increased by 6. Other Royal methods have decreased by 4. In Caters the increases are Stedman 6 and Grandsire 11. In Major methods the increase is 104· peals, and it is pleasing to note that peals in Surprise methods account for 93 of this number, Superlative alone showing 49 more. Triples show an increase of 91 peals, all Grandsire. Minor peals are 42 more and Doubles 36 more. HANDBELLS.- The number of handbell peals rung was 42 more than last year, the increases being - Cinques 1, Royal 9, Caters 1, Major 11, Triples 2, Minor 5 and Doubles 13. NEW METHODS.- Pudsey Surprise Maximus, Double Dublin Surprise Major, Surrey Surprise Major, Reverse Dublin Surprise Major, Double Little Bob Major and Erith Little Bob Major are recorded as having been rung for the first time. ASSOCIATIONS.- The Lancashire Association this year has rung the greatest number of peals, viz., 135, followed by the Kent County Association with 134, the Chester Diocesan Guild with 114, the Midland Counties Association with 113, and the Essex Association with 110. No other Association reached 100 peals. Thirty-one Societies show an increase, headed by the Bath and Wells with 43 peals, the Kent County Association with 34, the Oxford Guild 32, the Lancashire Association 31, and the Lincoln Guild 30. Twelve Societies show decreases, the chief of which is the Midland Counties with 15 peals less than last year. GENERALLY.- Long lengths rung during the year are as follows:- 12,221 and 9,261 Grandsire Cinques by an unaffiliated Society; 8,096 Double Norwich Court Bob Major by the Norwich Diocesan Association; 7,200 Minor in 10 methods, and 6,400 Oxford Treble Bob Major by the Yorkshire Association; 6,144 Guildford Surprise Major by the Guildford Diocesan Guild; and 6,048 Kent Treble Bob Major by the Sussex County Association. Performances worthy of note are a peal of Spliced Surprise Major in 11 methods by the Middlesex Association; Spliced Surprise Minor in 26 methods and 21 methods by the Kent County Association; and one of Surprise Minor in 23 methods by the Essex Association. Two peals of Minor on handbells were rung in the Transvaal. A ‘George’ peal of Bristol Surprise Major and a ‘William’ peal of Double Norwich were rung by the Middlesex Association, whilst an ‘Edwin’ peal of Grandsire Triples was rung for the Kent County Association. In the latter peal three generations of one family took part. Three non-conducted peals were rung, one of Cambridge Surprise Major by the Bath and Wells Association, one of Stedman Triples by the Stafford Archdeaconry, and one of Grandsire Triples (Holt’s Original) by the Kent County Association. A Boy Scouts’ peal was rung for the Chester Guild, and a handbell peal of Grandsire Caters for the Durham and Newcastle Association was rung in a coal mine. An analysis of the footnotes shows that the number of ringers who have scored their first peal has increased. This year there are 595, as compared with 499 in 1929. There is also a considerable increase in the number who have rung their first peal in a new method, or method on a different number of bells. Last year’s total was 869 - this year it is 1,214. Ringers of their first peal inside number 67; away from the tenor 16; in the method inside 83; Maximus 16; Cinques 11; Royal 11; Caters 15; Major 77; Triples 29; Minor 83; Doubles 24; on twelve bells 29; on ten 56; on eight 43; on six 4; Surprise 48; ‘in hand’ 23; in method ‘in hand’ 29. The number of new conductors has risen from 54 to 69, and conductors in a new method from 73 to 85. Other footnotes show that 51 peals were the first on the bells; 39 since restoration or augmentation, and 173 the first in the method on the bells. Muffled and half-muffled peals numbed 73. In addition to these, 25 muffled peals were rung on the occasion of the R101 disaster. Birthday peals number 309; Royal Birthdays 12; Wedding (including Diamond, Golden and Silver) 88; Church Festivals and Dedications 45; Empire Day 19; Armistice Day 17; Anniversaries 47; Welcome and Farewell peals 49. It should be noted that in cases where peals are published under the names of two associations these are recorded in the Analysis under the first named association. In conclusion, we give below the number of peals rung in each of representative years since 1881, the total for the whole period being 57,220. DECISION LEFT TO THE COUNCIL. At the meeting held last Whitsuntide the Central Council passed a resolution ordering the Collection of Doubles and Minor Methods to be printed, and the manuscripts were accordingly handed to the printer. Owing to circumstances which have already been made public we felt obliged to suspend the publication of the book, and we regret that up to date a satisfactory solution of the difficulty has not been found. (1) We desire that the custom of the Council, which has obtained ever since its foundation, should be followed, and that the names of the Central Council and of the authors of the book should appear on the title page and the outside cover. We may point out that this is the general custom with publications by bodies similar to the Council. (2) The hon. secretary gave instructions to the printers that the names of the executive officers of the Council should be substituted for those of the authors. He suggested that the latter might or should be mentioned in the preface. (3) A compromise has recently been proposed by which the names of both the officers of the Council and the authors of the book should appear on the title page and cover, but reserving the question of copyright to be dealt with at the Council meeting. We are quite unable to see any valid reason why the ordinary custom should be departed from. However, it has been our earnest endeavour in preparing this book to carry out the wishes of the Council, and repeatedly, when any doubt has arisen on a vital point, we have brought the matter before the Council to learn its views. So long as the ordinary rights of authors are not infringed, we desire to leave the issue of this last controversy to the Council’s decision. The second session of the fourteenth Council was held at the Town Hall, Liverpool, on Tuesday, when 79 members, representing 37 associations, attended. Splendid arrangements had been made by a local committee, of which Archdeacon Howson was chairman. The details were carried out by Mr. Claude I. Davies and Mr. G. R. Newton, who were indefatigable in their efforts to secure the comfort of the visitors. The week-end was spent by many in ringing at various churches and in visits to places of interest. Several peals were rung. The Council met in the Council Chamber on Tuesday morning, when the Lord Mayor (Alderman Edwin Thompson) took the chair at the outset, supported by the Bishop of Liverpool (Dr. David), the president of the Council (Mr. E. H. Lewis), and the hon. secretary (Mr. E. Alex. Young). THE NEW SECRETARY OF THE COUNCIL. Mr. Young having intimated that he desired to be released from the office of hon. secretary and treasurer, which he had occupied (in succession to the Rev. C. D. P. Davies) for ten years, Mr. G. W. Fletcher, on the nomination of the Standing Committee, was unanimously elected. Mr. Young was cordially thanked for his services. The balance sheet of the Council was adopted, and for the first time for some years there was a balance on the right side on the sale of publications, there having been profit of £2 8s. 1d. The Rev. H. S. T. Richardson was re-elected an hon. member of the Council, and vacancies, two of them caused by death of the Rev. C. D. P. Davies and the resignation of Mr. J. W. Parker, were filled by the election of Mr. Stephen W. Wood, Mr. E. W. Elwell, and Mr. A. A. Hughes. On behalf of the Standing Committee, Mr. Young reported that certain work had been carried out for the maintenance of the Carter Ringing Machine in the South Kensington Museum, and it was resolved that Mr. A. A. Hughes be appointed a trustee in the place of the late Rev. C. D. P. Davies. Mr. G. R. Fardon and Mr. Sharman were appointed demonstrators, and thanked for their services in connection with the repair of the machine. A discussion took place on the amendment of the rules of the Council - a matter which had been referred to the committee at the last annual meeting. The committee put forward a motion to add a new sub-clause to Rule 2 providing for affiliation of the associations to the Council. Mr. J. S. Goldsmith moved, and Mr. G. Grover seconded, an amendment which introduced a clause providing that affiliated associations should subscribe to an undertaking loyally to abide by the rules and decisions of the Council, and providing that the basis of representation of territorial associations and guilds should be the number of annual subscribing honorary and ringing members and resident life members. Mr. E. W. Elwell, on a point of order, moved that the Council proceed to the next business, and this was agreed to, it being understood that the matter would be reconsidered by the Standing Committee and brought up at the next meeting after due notice had been given. Subsequently, however, it was resolved to appoint a special committee to deal with the matter. Reporting on the work of the Peal Collection Committee, the Rev. H. G. T. Richardson said the collection of peals of Treble Bob Major with tenors parted had been completed, but were not yet typed. They were waiting to include the peals of Royal and Maximus. An interesting report, on behalf of the Literature and Press Committee, was presented by the Rev. F. Ll. Edwards, and the committee was requested to draw up a brief bibliography of works on bell ringing, which would be a guide to ringers desiring to form tower libraries. The Peals Analysis Committee’s report, as already published, was adopted, with a few minor corrections, but no action was taken on a suggestion that a peal of Plain Minor methods rung at Isham should be deleted from the analysis on the ground that it did not comply with the Council’s definitions, there being divided opinion as to whether or not it conformed to the decisions of the Council. The Methods Committee’s report led to a discussion on the subject of the delayed publication of the Collection of Minor Methods. The Standing Committee had come to agreement on the subject, but opposition to their proposal was offered by Mr. J. A. Trollope (a member of the committee). Eventually, however, the Council accepted the suggestion of the Standing Committee that the names of both the committee and the officials of the Council should appear on the cover and title page. The issue of the book will now be proceeded with at once. It was also resolved that the committee should take in hand the work of revising the Collection of Triples Methods, which will appear as a separate publication. Reports from the members of the Towers and Belfries Committee were presented, and that by the president, relating to the restoration of the bells at St. Benet’s, Cambridge, will be found under a separate heading. No report was forthcoming from the Record Committee, as the papers - which were in the possession of the late Mr. T. Hervey Beams - had not yet come back to the Council. Mr. G. R. Newton proposed, and Mr. A. E. Sharman seconded, ‘That in the interests of the Exercise this Council takes such steps as they deem necessary for the registration of compositions,’ but after it had been pointed out that there were great difficulties in the way of what would prove an enormous task, it was resolved that members of the Peals Collection Committee should prepare a pamphlet on peal variations. The Council decided to meet next year at Plymouth, which secured a narrow majority over Bath. Mr. Faulkner suggested that in future notice of the meetings of the Council, with the agenda, should be sent to individual members of the Council - at present notice is published only in ‘The Ringing World.’ The proposal, however, did not find favour, and was defeated. The President proposed a vote of thanks to the Lord Mayor for his welcome, for placing the Council Chamber at the disposal of the members, and for his hospitality; to the Bishop of Liverpool for his presence; to the Lancashire Association for their welcome and hospitality, and especially to Mr. C. I. Davies and Mr. G. R. Newton for the work they had done in connection with the Council’s visit. Canon Elsee replied for the Lancashire Association, and the meeting terminated with a vote of thanks to the president. The members who had been entertained to luncheon at headquarters, the Stork Hotel, by the Lancashire Association, took tea in the Town Hall at the invitation of the Lord Mayor, who with the Lady Mayoress was present to greet his guests. While tea was in progress selections were given by the Liverpool Police Band. In the evening a social gathering took place at the Stork Hotel. The president of the Central Council, speaking on the report of the Towers and Belfries Committee at the Council meeting on Tuesday, referred to the proposals for the restoration of St. Benet’s bells. The Standing Committee, he said, had considered the subject and had recommended that the Council should vote a grant of ten guineas to the commemoration fund; and that they should elect certain members to co-operate with the Parochial Church Council of St. Benet’s for the carrying out of the scheme - the Parochial Council being the people, must get the faculty and be responsible for the work. It was suggested that the selection of members of this committee should be left to the Towers and Belfries Committee. The Rev. F. Ll. Edwards seconded the proposal. Mr. J. S. Goldsmith said as the instigator of the scheme, the proposals put forward by the president of the Council had his approval, and the motion was carried. Mr. Willson suggested that two more bells should be added, but the President said that the tower itself made this impossible. THE CENTRAL COUNCIL’S MEETING AT LIVERPOOL. Ancient Society of College Youths: Mr. T. Faulkner. Bath and Wells Diocesan Association: Mr. J. Hunt. Bedfordshire Association: Messrs. A. E. Sharman and A. King. Cambridge University Guild: Messrs. E. H. Lewis and E. M. Atkins. Chester Diocesan Guild: Rev. C. A. Clements, Messrs. G. A. Taylor and H. S. Brocklebank. Devon Guild: Rev. E. S. Powell. Ely Diocesan Association: Rev. B. H. Tyrwhitt Drake and Mr. T. R. Dennis. Essex County Association: Messrs. G. R. Pye and E. J. Butler. Guildford Diocesan Guild: Messrs. A. C. Hazelden, G. Grover and A. H. Pulling. Hertford County Association: Mr. W. Ayre. Kent County Association: Messrs. T. Groombridge, E. Barnett, sen., and F. M. Mitchell. Ladies’ Guild: Mrs. E. K. Fletcher. Lancashire Association: Canon H. J. Elsee, Messrs. W. H. Shuker, G. R. Newton and A. Tomlinson. Lincolnshire Diocesan Guild: Rev. H. Law James, Rev. H. T. Parry, Messrs. G. Chester and R. Richardson. Llandaff and Monmouth Diocesan Association: Messrs. J. W. Jones and J. Phillip. London County Association: Messrs. F. E. Dawe and A. D. Barker. Middlesex County Association: Messrs. C. T. Coles, W. H. Hollier, W. Pickworth and G. W. Fletcher. Midland Counties Association: Rev. R. P. Farrow, Messrs. E. Denison Taylor, J. H. Swinfield and W. Willson. Norwich Diocesan Association: Mr. A. L. Coleman. Oxford Diocesan Guild: Canon G. F. Coleridge, Rev. C. W. O. Jenkyn, Messrs. F. Hopgood and J. Evans. Oxford Society: Mr. W. G. E. Collett. Oxford University Guild: Mr. H. Miles. Peterborough Diocesan Guild: Messrs. F. Law, T. Tebbutt and F. Wilford. St. Clement’s Youths: Mr. G. H. Cross. Salisbury Diocesan Guild: Rev. F. Ll. Edwards and Mr. C. H. Jennings. Stafford Archdeaconry Society: Messrs. H. Knight and T. J. Elton. Society of Royal Cumberland Youths: Mr. J. Parker. Surrey Association: Messrs. C. Dean and C. H. Kippin. Swansea and Brecon Diocesan Association: Mr. A. J. Pitman. Warwickshire Guild: Messrs. F. W. Perrens and H. Argyle. Worcestershire and Districts Association: Mr. R. G. Knowles. Yorkshire Association: Rev. C. C. Marshall and Mr. P. J. Johnson. Hon. members: Rev. H. S. T. Richardson, Alderman J. S. Pritchett, Messrs. C. F. Johnston, H. W. Wilde, W. A. Cave, J. A. Trollope, E. W. Elwell, J. S. Goldsmith, A. A. Hughes, and E. A. Young (hon. secretary). Thus thirty-six associations were represented by 71 members, and ten hon. members were present, making a total attendance of 81. THE LORD MAYOR’S CIVIC WELCOME. Precisely at eleven o’clock the Lord Mayor of Liverpool (Alderman Edwin Thompson), accompanied by the Bishop of Liverpool (Dr. David), entered the Council Chamber, and took the chair amid applause. He was supported by the president of the Council (Mr. E. H. Lewis), the hon. secretary and treasurer (Mr. E. Alex. Young) and the hon. librarian (Rev. C. W. O. Jenkyn). The Lord Mayor, in welcoming the Council to Liverpool, said he was brought up to the old saying that small boys were to be seen and not heard. It seemed to him that campanologists were fated always to be heard and not seen (laughter). There was no body of people in the world who, in his opinion, got less recognition for the work they did than campanologists. It was, he admitted, one of the professions about which he knew lamentably little, but whenever he paid a visit to the belfry as a boy the thing that astonished him most was how the people ringing the bells were not pulled up to the ceiling (laughter). It gave him very much pleasure, as Lord Mayor of Liverpool, to welcome them to the Town Hall, and he was glad to have the privilege of being able to lend them that Council Chamber for their deliberations. Continuing, the Lord Mayor said it had been his privilege to see the largest bell in the world, that at the Kremlin in Moscow, and also the other great bell in that city, which weighed 126 tons. One of the most beautiful sounds which one could hear, however, was a really good peal of bells on the English countryside, while another was the chiming of the carillon at Bruges. English bells, well rung, had always struck him as one of the most beautiful of musical sounds that one could hear, and he wished they had more appreciation of bellringing in this country than they had. 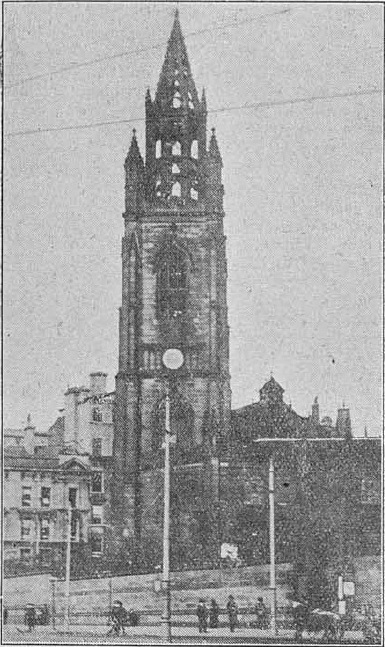 He hoped by their deliberations that day, the art of bellringing might be a little better known in Liverpool than it was at the present time, and if they could do anything to encourage Liverpool to adopt bellringing more than it had done in the past, their meeting that day would be well spent. He welcomed them most sincerely, and wished them every success (applause). The Bishop of Liverpool said he was grateful for the opportunity allowed him to take a share in the welcome extended to the Council, and at the same time to give some expression to the gratitude that all churchpeople and, indeed, many others, felt to them for their part in the service of administering the ‘sacrament of sound.’ That gratitude, he felt, was generally taken for granted, and, indeed, in the fellowship of the Church they were not exacting in the giving and receiving of thanks, but there were occasions when it should be recognised, and that, he thought, was one of them. It was in their minds yesterday, when they were listening to the music the ringers were drawing from the tower of St. Nicholas’, and which, floating high and strong above the clanging of the trams and the hooting of motor horns, fell upon their battered ears like the echoes of a vanished and quieter world. It was the privilege of ringers to maintain a peculiarly English tradition, and to adopt and even extend it in the changed circumstances and needs of to-day. He was particularly interested in two of the subjects which, he understood, would find places in their deliberations. The first was their care of bells and the education of churchwardens and others in administering that care. Churchwardens were men of goodwill, but they were very busy men, and, for the most part, they were, if he might say so without insult, ignorant in this matter - and so was he, and so were most people. Any suggestions which the Council could make which would tend to increase the practical care of bells by the clergy and churchwardens, he, for his part, would welcome very much and would, in that diocese, draw special attention to them. In the second place, he believed the Council were going to consider the question of making themselves recognised as churchworkers. ‘Some of us,’ said the Bishop, ‘feel that bellringers stand a little bit outside the fellowship of what we call church work, and I and my brother Bishops are anxious to do what we can to improve their status and to take them into the practical fellowship of the Church. I am eager, therefore, to hear what suggestions you have to make to us upon that point. I hope your conference will exhibit that same harmonious team spirit which is the very essence of your beautiful art’ (applause). The President thanked the Lord Mayor for his welcome to Liverpool and for the use of that beautiful room in which they had met. That was the first time the Council had met in Liverpool, and they appreciated very much indeed the splendid arrangements which had been made for them and in which the Lord Mayor had taken so noble a part (applause). They were very grateful also that the Lord Bishop should have come there to offer his welcome, although they were beginning to feel that they could demand as a right the presence of the Church authorities at their meetings, because during the last 40 or 50 years the position of ringers had entirely changed. Generally they could consider they were looked upon by the Church authorities as effective churchworkers. It often used to be said in the ‘bad old days’ that ringers would more often make their appearance in church if the Church authorities more often made their appearance in the belfry. They were thankful that in these days they had quite a number of the clergy who were among their best ringers, and a number were there that day (applause). They felt that they could almost demand as a right that the Church authorities should recognise them and come and look them up in the belfry and at their meetings. They were very grateful to the Bishop for coming among them that day, and felt that he had accorded them a great honour. Continuing, Mr. Lewis said he felt very happy that that meeting was in Liverpool, because his own family had been connected with Liverpool for three generations. His greatgrandfathers used to sail their own ships out of the port of Liverpool, and one of them was married in St. Nicholas’ Church. He himself had lived in Liverpool for two years. In those days ringing was very dead in the centre of Liverpool. There was no ringing at St. Nicholas’ Church, nor was any ringing allowed on the peal of ten bells then in the old pro-Cathedral of St. Peter. What ringing there was was more in the suburbs. The best ringing was probably at Tuebrook and a certain amount in other towers. To-day they were very thankful that that was changed. There was a splendid band ringing at St. Nicholas’ in the centre of the town. That was, he thought, largely due to the great strides which Liverpool ringers had made. It was only fitting, therefore, that the Council should visit Liverpool as some recognition of the enterprise of the local ringers (hear, hear). The President concluded by again thanking the Lord Mayor for his civic welcome and the Lord Bishop for his presence. The Lord Mayor briefly replied, and left the chamber amid applause. ELECTION OF A NEW SECRETARY. The president then took the chair, and, prayer having been offered by the Lord Bishop, the business of the agenda was proceeded with. The first item was the election of an honorary secretary and treasurer. The President said they would remember that last year Mr. Young expressed his desire to retire, but was persuaded to stay on for another year so that there should not be a change of two officials (president and secretary) at one time. They were very grateful indeed to Mr. Young for holding on, but he was anxious now to retire and, although they had pressed him, they felt they could not press him further, and therefore it was their duty to elect an hon. secretary and treasurer in his place. Only one nomination had been received, and that was Mr. G. W. Fletcher (applause). Before putting that to the meeting, he thought they should express their thanks to Mr. Young for the work he had done since the late Rev. C. D. P. Davies retired. They appreciated his work very much indeed. He had been a most efficient secretary, who had done everything he possibly could to further the interests of the Council. The vote of thanks was carried with applause, as was also the election of Mr. Fletcher as Mr. Young’s successor. Mr. Fletcher thanked the Council for having given him the great privilege of serving them. They must realise that he could do very little unless he had the support of members, and he hoped he would receive the same support as was given to his predecessors. Would they help him to be a worthy successor to them? (‘Yes’ and applause). Mr. E. A. Young said it fell to his lot, with the passing of the years, to say farewell to them as their honorary secretary. He had filled the office for ten years, and he had filled it, as far as he was concerned, with great joy and pleasure. That it had received their commendation was a further joy to him. They had always looked upon him as one of their brother ringers, but in spite of his lack of qualifications and skill in the exercise of their art, he had, perhaps, been able to serve them in other ways, and that had been his reward. He extended to his successor a hearty welcome. Mr. Fletcher would have his support as long as he could give it to him. The office had been held by excellent men before them. Their light came down to them, and in it they felt strength and support. He could only conclude by saying ‘Farewell and many thanks’ (applause). The minutes, having been printed, were taken as read and approved. The President referred to the deaths of the Rev. C. D. P. Davies, a former secretary, Canon Baker, one of the first Council, and Mr. T. Hervey Beams, and the members stood in silence for a few seconds as a mark of respect. Apologies for absence were received from Major J. H. B. Hesse, Rev. W. P. Wright, Messrs. T. Metcalfe, R. G. Black, W. J. Nevard, C. H. Howard, H. G. Bird, W. Storey, W. T. Cockerell, Clark, J. D. Matthews, H. Barton, C. E. Borrett, N. Golden, S. F. Palmer and S. Hillier. The statement of accounts, presented by the hon. treasurer, showed that the year began with a balance of £54 8s. 11d. The receipts included £14 3s. 6d., contributed towards the cost of publishing the book on ‘The Preservation of Bells,’ £3 15s. from honorary members, £29 15s. from affiliation fees, £2 8s. 1d. from sale of publications, and £5 from interest. The expenditure, which amounted to £61 15s. 9d., included £52 10s. on account of printing, and £2 14s. 6d. on the Carter Ringing Machine, leaving a balance in hand on general account of £47 14s. 9d. The Hon. Librarian reported that during the year Mr. A. J. Trollope had presented to the library the result of some of his historical research work. It dealt with the College Youths, 1756-1788, and gave an account of many famous peals and the making of the ‘Clavis.’ Mr. W. W. Willson had kindly put the matter into typewritten form. There was still a constant demand upon the historical records of the library, and from time to time upon its other possessions. As regards the sale of publications, it had been the best year since 1926-27. For the first time since then he had a profit to show on the year’s working, amounting to £2 8s. 1d. Various things might account for that, and he would put first the appearance in the advertisement in ‘The Ringing World’ of a certain amount of new stock, which people had been waiting for. When orders came in for this, they usually brought an order for one or other of the older books at the same time. The new stock consisted of the revised book ‘On the preservation of bells,’ and also sheets of certain methods in large type, which were sent to him from the secretary’s office with certain other things. These sheets of Grandsire, Stedman and Cambridge were quickly sold, and with the president’s leave he had some more printed. Another reason for their comparative prosperity was the action of the Guildford Diocesan Guild in purchasing outright over two pounds’ worth of publications. He trusted this lead might be followed by other societies. It was for members of ringing societies that these works were published, and it was perhaps not realised that, apart from the contents of the library and such things as cards of instruction and methods sheets, his house contained between three and four thousand books for sale. On this point he wished to say that he was approached by the secretary of the London County Association with a view to advertising the Council’s publications in the new Rule Book which the association was issuing. He had, of course, to reply that he had no authority to do this. He thought it was a matter that the Council should consider with reference to the future. The Librarian added that there had been placed in his hands that morning the report on ‘The law affecting church bells,’ which was prepared by Mr. Pritchett, the late Mr. Milne and Mr. Elwell. The printing was authorised at the last meeting, and for this they were indebted to the generosity of Mr. Drake. In presenting the statement of account of the sales of publications, showing a profit of £2 8s. 1d., the Librarian said the amount received from the associations who had publications ‘on sale or return’ was 14s. 3½d. With regard to the method sheets, the Librarian said he had been asked by a ringer for Double Norwich printed in the same way. As two plain methods could be put on one sheet, the Standing Committee suggested they should also include Cambridge Court. With regard to the question of advertising in the London County Association’s rule book he did not know what the Council felt about it, but he did not think it was for the Council to advertise in Guild reports; it was rather for the Guilds to help the sale of publications by putting in an advertisement free, as some associations already did. With regard to the action of the Guildford Guild, he hoped it might be generally followed by other societies, because it would enable them to get their publications circulated more than they did and bring out further publications for the benefit of the Exercise. The President said he authorised the printing of the method sheets, and they seemed to have met with a ready sale. Mr. P. J. Johnson said he spoke with some diffidence, but he wondered why they proposed to print a little known method like Cambridge Court. It was very little practised, and the sheets might become another burden on the librarian. The President said it was more economical in printing these sheets to print two plain methods on one sheet, and to add Cambridge Court would probably cost very little more than to print Double Norwich alone and there was a demand for the Double Norwich. The reason Mr. Johnson advanced were the very reasons for printing Cambridge Court. It was a method that deserved to be much better known than it was. Mr. J. S. Goldsmith endorsed the remarks of the librarian with regard to the advantages to be gained by associations purchasing the publications outright. The Guildford Guild looked upon their purchase as an investment of capital for educational purposes. The publications were for the education of ringers, and they would find a more ready sale if they were actually shown to the ringers at meetings. The purchase outright by the associations would reimburse the Council and enable other similar work to be taken in hand. He proposed that a discount of one penny in the shilling be allowed to associations on the purchase at one time of not less than one dozen copies of the Council’s publications.- Mr. W. A. Cave seconded, and said the Council would save this in postages.- The suggestion was adopted, and the action of the president in authorising the printing of method sheets confirmed. The report of the librarian was then received and adopted. The Rev. H. Drake said he had written a short article, which was to appear in ‘The Ringing World’ that week regarding the liability of church authorities to obtain faculties for the moving of bells. If the Council would give him permission, he would like to have these notes reprinted, and he would ask the librarian to slip them into the copies of the book on ‘The law affecting church bells.’ He would be happy to bear the cost. The President said they were grateful to Mr. Drake for his offer, which he was sure the Council would accept with thanks. On the election of honorary members, the President said the Rev. H. S. T. Richardson and Mr. J. W. Parker retired this year. In addition, they had lost the Rev. C. D. P. Davies by death, while the hon. secretary had received a letter from the Rev. E. W. Carpenter saying that, although he had not been able to attend any meetings for some time, he had hoped to attend one more meetings to say a few words of farewell, because he felt he must give up the work. Mr. Carpenter had not, however, been able to come to that meeting, and he (the president) thought they must regretfully accept his resignation. Mr. Parker had also expressed a wish not to be re-elected, as he found it difficult to get to the meetings. They had thus four vacancies altogether. As they knew, it had been the practice of the Council to leave one position vacant in case they desired to elect anyone in a hurry. The Standing Committee had considered the question, and there were four names which they wished to put forward, and, in view of the fact that they would all be very useful to the Council, the committee thought the four places should be filled. The names suggested were Mr. Stephen H. Wood, Mr. E. W. Elwell, who had dropped out from the representation of the Chester Diocesan Guild, on account of resigning the secretaryship, and Mr. A. A. Hughes, who did not now represent the College Youths, with, of course, Mr. Richardson. They would all regret the severance of the Rev. E. W. Carpenter’s connection with the Council, as he was one of the founding members. Replying to a question, the President said it was not absolutely necessary to accept Mr. Carpenter’s resignation that day, but if they did not do so they would have no vacancy for emergencies. The resignation could be left over for another year. Mr. Newton said in view of a notice of motion standing in his name he had been going to suggest the election of one or two names as hon. members, but he would be quite satisfied with one. If all the places were filled, it would preclude his proposing any other name later. The President said it would be in order to accept Mr. Carpenter’s resignation later in the day if they found it necessary; in the meantime they need take no action. On the motion of the Rev. Canon Elsee, seconded by Mr. A. E. Sharman, the Rev. H. S. T. Richardson was re-elected, and vacancies were filled by the election of Messrs. S. H. Wood, E. W. Elwell and A. A. Hughes. The reports of committees were then considered by the Council, the hon. secretary first making a verbal report on behalf of the Standing Committee, which had met earlier in the day. The committee were given authority at the last meeting, he said, to go into the question of the rules and make recommendations. This matter would come before the Council later. In his (the speaker’s) absence from the country, Mr. Cave had done what he could towards getting cheaper travelling facilities for the members of the Council, but had met with very little success. It was a story twenty years old, and he had come to the conclusion that it would be wise if the Council only made an effort for reduced fares for the members on the occasion of the London meetings, when they had more members travelling. With regard to the Carter ringing machine, of which the Council were trustees, the Standing Committee thought it would be a graceful act if the work of the two gentlemen, Mr. Fardon and Mr. Sharman, who had been overhauling the machine at a great deal of expense of time to themselves, were recognised by some little gift, such as one or other of the new books on bells and ringing that had recently been published. They had made probably 15 or 20 journeys to South Kensington in connection with the work, and they had charged for nothing except the actual material that they had used. These two gentlemen now probably knew more about the machine than anyone since Mr. Carter himself, and it was suggested that the Council should appoint them as demonstrators, and that they should be allowed to charge a fee for demonstrating the machine of, say, half a guinea. By the death of Mr. Davies, they had lost one of the two trustees who were appointed by Mr. Carter’s own desire. There was only himself (the hon. sec.) left, and it was for the Council to appoint a colleague to act with him. The Standing Committee thought it should be someone living in London, and they unanimously recommended Mr. A. A. Hughes, who had kindly given the set of bells which were now operated by the machine. The President suggested that the Council should pass a resolution to present to each of the two gentlemen who had recently overhauled the machine a copy of Mr. Morris’ ‘History and Art of Change Ringing,’ or a book of similar value, as a mark of their appreciation, and with the thanks of the Council for what they had done; also that they appoint them officially as demonstrators of the machine; and, thirdly, that the Standing Committee’s action be confirmed in appointing Mr. Hughes as trustee. 75, but does not exceed 150, one representative. 150, but does not exceed 300, two representatives. 300, but does not exceed 450; three representatives. Four representatives to be the limit of representation allowed to anyone society. (a) That any recognised society, association or guild (hereinafter referred to under the general term ‘societies’), numbering not less than seventy-five members, should be eligible for affiliation to the Council. That the Council consist of representative members from all affiliated societies. The representation to be in the following proportion (as set out in the original rule). On behalf of the committee, he moved the adoption of the recommendation.- The Rev. C. W. O. Jenkyn seconded. The Rev. H. Law James asked how many copies of ‘Rules and Decisions’ there were at present unsold. The Rev. H. Law James: And if we proceed to make these alterations we may as well put these 95 copies on the fire; they will be unsaleable. The Hon. Secretary said that had been considered by the Standing Committee, and it was decided that, if any alterations were made, they should be printed on slips and inserted in the books. Mr. J. S. Goldsmith raised the question as to what procedure the Council were to adopt with regard to amendments to this report, and whether the alterations could be moved with out due notice having been given. The President said he was doubtful whether, without notice in writing, they could alter their rules, but he thought there was no reason why they should not thrash out the question of these suggested alterations. Mr: W. Willson pointed out the inequality of the representation under the rules, by which a society of 75 members got one vote, but a society with a thousand or even two thousand members got only four votes. Under such conditions there must be occasions when the minority ruled. That any recognised society, association or guild of church bellringers (hereinafter referred to under the general term ‘society’), numbering not less than seventy-five members, shall be eligible to apply for affiliation to the Council, and, upon admission, shall subscribe to an undertaking loyally to abide by the rules and decisions of the Council. (2) Of honorary members, not exceeding fifteen in number, elected by the Council. A society, the number of whose members is 75 or over, but does not exceed 150, one representative; exceeds 150 but does not exceed 300, two representatives; exceeds 300 but does not exceed 450, three representatives; exceeds 450, four representatives. Four representatives to be the limit of representation allowed to any one society. For the purpose of this rule the basis of the calculation of membership for territorial societies shall be the number of annual subscribing honorary and ringing members and resident life members, the figures to be those presented to the society at its last annual meeting. He said, in support of the principle that the associations should be directly affiliated to the Council, instead of merely having the duty of electing the members of which the Council was constituted, that last year the Council asked the associations to pass a resolution to include in their rules one under which they should be affiliated to the Council and loyally abide by the Council’s decisions. The Council must, therefore, make provision for accepting that affiliation, and, in his view, it was only right that the Council should be entitled to ask the associations to give an undertaking of loyalty. With regard to the paragraph relating to the basis of calculation of membership, this would to some extent prevent overlapping in representation, but the proposal excluded such societies as the College Youths, the Cumberland Youths, the Ladies’ Guild and the Cambridge University Guild, which, from their nature, seemed to require special treatment. Mr. G. Grover, who seconded, said there was a strong feeling in some quarters that the Central Council was a sort of misty body which wished to dictate to the associations and guilds and yet did not want the associations to take a direct interest in the constitution of the Council. The alterations to the rules, as drafted by Mr. Goldsmith, would give the associations a more direct interest in the business of the Council, because they would give associations the right to send in motions in their own names. In the Guildford Guild they felt that if they were going to ask associations and guilds to loyally abide by the rules and decisions, they must amend their rules to give the associations a more direct interest in the Council. The Rev. E. S. Powell asked whether the single alteration proposed by the Standing Committee would give the associations the right to send in motions to the Council. The President said they could get their representatives to put on the agenda any motion they wished to have considered. Mr. W. A. Cave said he had every justification for his decision to support Mr. Goldsmith’s amendment, because the alteration put forward that day on behalf of the Standing Committee was not correct. In committee he made a strong point that, in any alterations, the constitution should provide that the Council consist of associations. In the rule, as drafted on behalf of the committee, the members were placed first and the associations second; the associations should have been named first and the representatives second. The President said it was certainly their intention that the name of the association should be mentioned first, and that was largely why they included the suggestion under 1 (a), so that first the recognised societies should become affiliated, and then the Council should consist of elected members. Mr. J. Parker asked whether, without returns as to membership, it was possible to know what number of members a society was entitled to elect? The Hon. Secretary: No, sir. Mr. E. W. Elwell said the propositions as now brought before them were not in accordance with the rules of the Council as they at present stood, and it was most undesirable that the Council should place on its minute book any decisions obviously abortive or on which it could not possibly act. He, therefore, moved that the Council proceed to the next business. The President: Because of not giving notice? One or two members suggested that the feeling of the Council with regard to the alterations should be obtained, but the motion to pass on to the next business, on being put, was carried, the President remarking that the whole matter would now have to stand over until next year. A member asked what became of the Standing Committee’s report? Mr. Willson moved that it be referred back on the question of the rules, and this was agreed to. Canon Elsee said the Standing Committee were present that day, and he suggested they should meet in the evening to consider the list of amendments so that they would have something to put before next year’s meeting. The President said he thought that would be rather difficult, but they could try. The Rev. C. W. O. Jenkyn said he would like to know whether Mr. Goldsmith’s suggestions would be likely to satisfy the Council on this eternal question of the relations between the Council and the guilds and associations, and did they think if the Standing Committee proceeded along these lines they could settle the question once for all? Mr. C. T. Coles drew attention to what he termed was an anomaly in the amendment submitted by Mr. Goldsmith. He was seeking to prevent overlapping in representation, and yet, if a person belonged to the College Youths, the Cumberlands, the Ladies’ Guild or the Cambridge University Guild, as well as a territorial society, he or she would get double representation and thus get an advantage over the person who belonged only to a territorial association. Mr. Goldsmith was creating an anomaly which he was seeking to get rid of. The President said this point could be considered by the Standing Committee. At the end of the day’s sitting the President said the members would recollect that the question of the rules was left in a rather unsatisfactory position, and during the lunch interval members of the Standing Committee had discussed it and suggested that a small special committee should be appointed to go into this question of the revision, draw up something to satisfy all parties if possible, and give due notice in time for next year’s meeting. The committee suggested was Messrs. J. S. Goldsmith, W. A. Cave, C. T. Coles, E. W. Elwell, with the new hon. secretary, Mr. G. W. Fletcher.- The Rev. C. W. O. Jenkyn seconded, and the motion was carried. PEALS OF TREBLE BOB ROYAL AND MAXIMUS. Only a brief report was presented on behalf of the Peal Collection Committee. The Rev. H. S. T. Richardson said he reported last year that they had dealt with the peals of Major with the tenors parted. The reason why these had not yet been typed and placed in the library was that they were waiting for the peals of Royal and Maximus to be included, and this he hoped would be done soon. The report was accepted on the motion of the president. The outstanding literary event of the period under review is naturally the appearance of Mr. E. Morris’ great book, ‘The History and Art of Change Ringing.’ This treatise, the result of 25 years’ labour and research, is in truth a monumental work. Nothing approaching such a complete history of our art has ever been attempted before. While on the one hand the mass of technical information brought together in such compendious form renders it an invaluable work of reference for ringers, on the other hand it abounds in such a wealth of interesting facts with reference to bells and bellringing in all parts of the world, that it cannot fail to make a wide appeal to the general public. The book has been extensively reviewed in a large number of journals. In the ‘Church Times’ it occupied the place of honour on ‘The Editor’s Table’; the ‘Morning Post’ and several other newspapers allocated to it a considerable amount of space. It is admirably illustrated and most attractively produced by Messrs. Chapman and Hall, and should find a place in every public library. Both Mr. Morris and Mr. J. R. Nicholls have also contributed numerous articles, both to the religious and the secular press, including even trade journals. Special interest attaches to two valuable articles in the ‘Musical Standard,’ one on ‘The Music Bell of Oxford,’ published on August 23rd, 1930, and another on ‘Musical Aspects of Changeringing,’ which appeared on September 6th. Another book of considerable value to ringers is a volume produced by Mr. H. C. Andrews, of the East Herts Archæological Society, on John Briant, the celebrated Hertfordshire bell founder. This work is published by Messrs. Cartmel and Sons., of St. Albans, and brings to light many facts of great interest with reference to the life and work of this master craftsman. A report of the Central Council for the Care of Churches, issued last autumn, is of more doubtful value, so far as ringers are concerned. It recommends ‘that in all cases where alterations to bells, bell frames or their supports are concerned … the advice of an architect skilled in work of this kind be sought in the first instance, before any bell founder is asked to visit the church.’ On the face of it this is a perfectly sound recommendation, but experience scarcely warrants the assumption that the supply of architects ‘skilled in work of this kind’ would be equal to the demand. The broadcast of a harvest thanksgiving service from a Somerset church occupied a whole column in the Bristol ‘Evening World,’ in which prominence was given to the delight of an invalid parishioner on hearing the eight fine bells by wireless. The ‘Southport Visitor’ had a full report last December of a article on ‘Bells and Carillons’ given by the well-known Liverpool musician, Mr. W. A. Roberts, to the Southport Organists’ Association. Referring to the English practice of change ringing the lecturer said: ‘Bellringing is certainly a healthy exercise and gives pleasure to a great number of worthy ringers.’ He added that he would desire it to be encouraged, though he regarded the music of a carillon as on a higher plane. In regard to that aspect of their duties, which concerns the defence of ringers’ interests, the committee have not been inactive. Some months ago an agitation was raised in a Surrey village for the discontinuance of the bell customarily tolled on the death of a parishioner. The agitators seemed to have the incumbent’s sympathy. The church possesses a peal of eight bells, and a well-known change ringer, sensing the thin end of the proverbial wedge took the wise course of applying to this committee for advice. Fortified with due information and references to ecclesiastical authority, he was able to prove, much to the surprise of the Church Council and, apparently, of the parish priest, that the suppression of this ancient use of the bell would be a direct violation of the canon law. At the same time, useful suggestions were made with a view to mitigating the cause of the complaint. A satisfactory conclusion was reached and a dangerous movement thus nipped in the bud. During last summer the correspondence column of the ‘Daily Mirror’ was the scene of one of those periodic complaints against church bells. A member of the committee took a hand in the correspondence, but the editor gave the advantage of the last word to the author of the original complaint, whose concluding argument was to the effect that it is unchristian to do anything that causes annoyance to any person. This argument would tend to prove rather too much. It would, at any rate, put the Chancellor of the Exchequer permanently out of action. Last Christmas it was observed that, while the programmes of very many foreign stations included broadcasts of bells, the B.B.C. had no mention of bells whatever. Several members of the committee wrote to Savoy Hill calling attention to this anomaly, and a favourable reply was received. The President proposed that the report be accepted with thanks. It was, he said, an excellent report showing what was going on. He would like to make one suggestion to the Literature Committee which had been put up to him by a Cheshire ringer. It was this, in view of the fact that tower libraries were catching on, it would be very desirable if the Central Council would take steps to publish a short bibliography of ringing books in such a form that any tower who thought they would like to start a library could see from the list which books it would be most desirable to spend their first £1 on, and the second £1, and so on. He thought it was rather a good suggestion, and perhaps the Literature Committee would undertake the work of preparing such a list. Alderman Pritchett, in seconding the acceptance of the report, suggested that the bibliography should relate purely to ringing books, and should not include books on bells, apart from the use that could be made of them for the purpose of ringing. The report was accepted and the suggestion adopted. Mrs. Fletcher moved the adoption of the report of the Analysis Committee, which has already appeared, with the analysis tables, in ‘The Ringing World.’ She pointed out that there were two slight corrections to the published tables. In the peals rung by the Middlesex Association, the figure 7 was omitted by a printer’s error under the heading of Cambridge Surprise Major, and in the footnote relating to the eleven-method spliced Surprise peal, Lincolnshire Surprise Major was omitted from the details of the methods rung.- Mr. C. T. Coles seconded. Mr. J. Hunt referred to the decline in peals of the ringing of such arrangements of Doubles as Morris’ 240’s of Grandsire. He thought it showed plainly that the views of that Council had some influence among ringers. After their discussion on the subject, there was only about one society that had rung peals in which this type of calling had been used. Another thing to which he would like to draw attention was to the so-called spliced peals, in which, say, half a peal of Bob Royal and half a peal of Grandsire Caters were rung. His view and that of hundreds of ringers in his part of the country was that that was not spliced ringing at all. He was pleased to see that these things were dropping out, and that ringers were not taking part in such performances. Mr. Trollope, said Morris’ arrangement of Doubles was not discouraged by the Council, and be hoped it would not go out that it was. The figures would be included in the collection that was shortly to be published without any expression of opinion as to whether they should or should not be rung as part of a peal. When the matter was discussed at least half the Council was not in favour of discouraging them. Mr. A. H. Pulling asked if the Analysis Committee had included in the analysis the peal rung at Isham, in which seven Plain Minor methods were rung in 360’s, repeated after a single, and brought round at the end by another single. Mrs. Fletcher said the analysis included every peal the report of which had been published, except those which were afterwards reported false. Mr. Pulling said had he known that before he should have brought forward a motion to exclude all peals which did not conform to the rules of the Council. This peal did not, in his opinion, conform to the rules, and he was surprised that a member of the Council should have conducted a peal of this kind. The rule definitely stated that a peal of Minor should be rung in complete 720’s, and the peal at Isham was a direct challenge to the Council. It was time the Council recognised in the analysis only those peals which conformed to its rules and next year he would give notice of a motion to this effect. Mr. G. W. Fletcher (a member of the committee) said he thought they could say the committee endeavoured to carry out the rules of the Council. He was not aware of any rule which debarred the Isham peal from the analysis. There were certain decisions of the Council with regard to peals, but they were only decisions, and he did not think they could take them as rules. The Rev. H. Law James said that peal came within the rules absolutely as seven 720’s. Years ago, when he used to ring peals of Minor, he invariably tried to reduce the number of singles to the smallest possible, and he never called more than two in a 720. He must admit that it never occurred to him to be content with two in the whole peal; he only wished he had (laughter). What was there to be said against it? There was this: Great-grandfather never did such a thing, therefore I mustn’t. What was to be said in favour of it? A great deal. In every plain method on six bells, when they called a single, four of the six stand still, and that was a hideous blot and anything that was going to remove that was a move up and not down. At this stage the Council adjourned for lunch, at which they were the guests of the Lancashire Association. On resuming, the President said, whether or not peals of the kind referred to should be actively discouraged, there was nothing definitely to rule them out so far as the Analysis Committee was concerned. Mr. P. J. Johnson asked whether the peal in question was or was not rung in complete 720’s. The President said as far as he could make out it was rung in twelve 360’s, one 719 and one 1 (laughter). Mr. Johnson said there were mathematicians who told them in regard to Doubles they could get 240 changes where they knew there were only 120, and he believed it was in the rules, or in their decisions, that a peal must consist of complete 720’s, and the Council ought not to be asked to accept that report containing a peal of the description referred to. He would suggest they accept the report with the omission of that peal. Mr. E. M. Atkins (who was the conductor of the peal in question) said it was true, in a way, to say that this peal was rung as a challenge to the Council. The reason it was rung was because it came within the terms of the Council’s decision which said that a peal must contain seven true and complete 720’s. The 720’s might not have been continuous; nevertheless they were seven true and complete 720’s. The 720’s were each cut into two halves and the two halves of each 720 were rung in the two halves of the peal. The President said he did not think there was any rule which would bar the Analysis Committee from accepting this particular 5,040. The report, on being put, was adopted with several dissentients. Mr. E. Barnett raised the question of the title of ‘Double Little Bob,’ under which a peal had been included in the analysis. This method had been named Erith Little Bob. He said the committee had no right to alter the name of a method. It had always been a rule that the people who rang the first peal in a new method should have the privilege of naming it. That had been so with the Minor methods. If other people were to be allowed to alter the names, he did not know where they would stop - some people would be wanting to alter the names of the standard methods if they allowed this kind of thing to go on. The Rev. H. Law James said the method referred to could not be Double Little Bob. Mr. G. Cross said he published in ‘The Ringing World’ a letter in which he stated that the method had been properly named ‘Erith Little Bob.’ There had been no reply, and he thought the Analysis Committee would have put the matter right. Mr. P. J. Johnson said they had the same difficulty in the Yorkshire Association in deciding whether a method had been properly named. The President said these were doubtful points, which would probably right themselves, but he did not think they could discuss them that day. The Rev. H. Law James, on behalf of the Methods Committee, proposed the adoption of the report which had been published. He did not wish to say much about the Minor Methods Collection for the simple reason it had been discussed in print, and they did not want a great deal of further talk about it. From the discussion that had already taken place among the Standing Committee, he thought they could take it that the Collection would be published straight away. He wanted, however, to ask the Council one or two things with regard to the future. The Collection of Minor Methods was confined to Doubles and Minor methods, and Triples, which appeared in the original edition, had been omitted. The book was intended for the six-bell towers, and he would like to know if the Council desired the committee to reproduce the methods for seven bells. His own opinion was that it should be reprinted and brought up to date. Then, with regard to the future, were they to go forward and publish next of all a book of Surprise methods, or did the Council think, as he was bound to think himself, that the proper thing to do was to deal with the plain methods of Royal, Cinques and Maximus? With regard to the outside cover of the Minor Collection, the committee would, as mentioned in the report, leave it to the Council. Mr. Hunt asked if the Council were to understand that the Methods Committee and the Standing Committee had come to an amicable settlement with regard to the Minor Collection? Mr. James: Quite a satisfactory decision as far as I am concerned. I want to vote upon it. Mr. A. Paddon Smith, on behalf of the Standing Committee, moved that the Minor Methods Collection be printed, and, so far as the names on the cover and title page were concerned, that they should be the names of the Council and its officers and the members of the committee. An agreement had been reached on that point. Mr. C. T. Coles seconded, and said he thought they had reached a pleasant end to the controversy which they had had. Mr. J. A. Trollope said Mr. Smith talked about an agreement, but he would say now what he had said all along, that he could not see the slightest reason for departing from the practice of the Council. For the last 35 years until recently the books that had been published by the Council had been published with a certain formula, and he could not see the slightest reason why that formula should be departed from. He could not see why they should put any names on the outside of the book other than the names of those people who had produced the book. They might say it was a small matter. It was a small matter in a way, but there was a certain amount of principle behind it. When the committee refused to accept the names of the officials of the Council on the outside of the cover they were fighting for the liberty of a committee against the interference of the officials of the Council. When the Council appointed a committee to do any work, the committee was responsible to the Council and not to the officials. In almost the last thing that the late Mr. Davies wrote to ‘The Ringing World’ he laid it down that the various committees were responsible to the Council, and it was up to them to see that their rights were not infringed. The second point was that if they got people to do work for them, they were bound to give them the ordinary consideration that these people would get at the hands of any similar body. It was the ordinary, common or garden kind of right. He had no personal feeling in the matter, and he had no doubt whatever that what Mr. Young did he did with the sole intention of promoting the welfare of the Council. But in this matter he disagreed with Mr. Young, and it was his duty to express that disagreement. They had had placed in their hands that day a new book on ‘The Law of Church Bells.’ They appointed a committee of three persons, three members of the legal profession to draw up the report, and it had been printed. That book would be a standard book for many years, but if in twenty years’ time someone picked up that book and looked at the names on the front of the cover they would get not the slightest idea who the men were who really did the work. That was not fair to those who did the work. In the future they would probably have other people who they would ask to do work for them. Would they say to them that they were prepared to accept what they did, to accept their time, money and brains, and when that was done give the credit to someone else? That was what it amounted to (hear, hear). It might look like blowing his own trumpet, but he was standing up for a principle. The committee left it to the Council, and if they saw any reason why an old custom should be departed from, they would vote for it, but his own opinion was as he had stated. Mr. Young: Did you read the preface of the new book? Mr. Trollope: Yes, sir. May I point out that Mr. Davies issued a book on the Surprise methods. My name is mentioned in that preface much in the same way as the members of the Legal Committee are mentioned in this book. Does anyone think I had the same work to do with the Surprise methods? THE DEPARTING HON. SECRETARY’S VIEWS. Mr. E. A. Young said he did not wish to say very much on the subject because he was anxious to go out of office with all the smiles he could. He was away from the country last winter; if he had been at home they could probably have settled the question by a talk round the table, but he was told by their late secretary, Mr. Davies, that he was responsible for the issuing of the books published by the Council - cover, printing and price - and when the manuscript came to him he had to see that it agreed with what was passed by the Council. When they published ‘Rules and Decisions’ in 1927, he pointed out that he thought on all the books and papers which they placed before the public and the Exercise the name of the Council should be placed in the forefront; in fact, that he would like to see the name of the Council always in gold letters and the names of the officers with it, not because he was an officer of the Council, but because he thought prominence should be given to them. The names were printed on the cover in ‘Rules and Decisions,’ and he thought how nice it looked, and he tried to follow the arrangement in other volumes. He was quite prepared, if the proposal now before the Council went forward, to go a little further to meet the Methods Committee and have the names of the officials of the Council put on the cover in a minor position. Mr. Trollope asked why the names of the officials of the Council should be on the book at all? The committee were appointed to represent the Council in this matter and to produce the book. Mr. Young said he thought by having the names of the officials as well as that of the Council anyone picking up the book would say, ‘This Council is a body that takes things seriously; the Council is a body of note and no hole-and-corner affair.’ The Council must forgive him if he had stepped too far. Mr. A. P. Smith said when he proposed his motion he had no idea it was going to be opposed, but it did appear to him that Mr. Trollope was still not satisfied, although he (the speaker) had been given to understand that he was. That being the case, he wanted to put the matter more strongly. He who paid the piper should call the tune. The Council had to pay for this publication, and in his opinion the Council, and not the committee, should decide what went on the cover and title page. The committee had only carried out instructions, or, if they did not like that word, request. They were servants of the Council, and in any society worthy of its name the names of its officers should be on all its papers. Mr. W. Willson said it was not often he agreed with Mr. Trollope - perhaps that was his (Mr. Wilson’s) fault (laughter) - but he thought he was in the right on this occasion. The Council did not pay the piper in this case. These men had worked for nothing for years. The names of the officials might go on the back page, but not on the front. The committee had done the job and done it well. If he had been one of the committee and had done this service, if the name of anyone else went on the title page he would have torn up the proofs. Mr. Coles, as seconder, said, like Mr. Paddon Smith, he had hoped this thing was going through unopposed. No doubt many of the Council felt in sympathy with Mr. Trollope and his friends on the committee, and he had intended, so far as he was concerned, not to agree to any modification until he learned that what was proposed would be accepted. To his surprise, it was not. Since he had listened to the explanation of the secretary he found himself driven to support Mr. Trollope. The committee should be considered in this matter. They had given years of work to the book, and even if the Council paid for the printing they got the money back. Mr. Trollope and his friends did not get their money back. The motion, on being put, was declared carried nem con. The Rev. H. Law James asked for a motion on the question of whether the committee should now proceed with the Triples methods. Mr. Faulkner: Is that going to hold up the publication of this book still further? The President: Not at all. The Rev. H. Drake proposed that the Triples methods section be revised and reprinted. Mr. Trollope said the idea would be to make a book for Grandsire and Stedman largely, not merely give just a lead, but give something that would be of real use to ringers, including peals and touches. Mr. Davies’ book on Stedman was really a book for composers and experts. What they wanted was a book that the ordinary man in the tower could put in his pocket and use. In addition to Grandsire and Stedman, methods like Double Court should be included, and methods which had one hunt and six working bells. It would be very much smaller than the Minor Collection, and rather smaller than the Major. Mr. W. Ayre seconded Mr. Drake’s motion. The Rev. H. Law James said he thought they could present it ready for printing at the next meeting of the Council. Mr. Trollope: Don’t you be so sure (laughter). The President said the committee wanted to know whether they should have in mind as the next subject a collection of Surprise methods or a collection of Plain Royal, Cinques and Maximus methods. Mr. Trollope said he thought the book wanted now was a book on the Major Surprise methods. That was going to be a very big thing, because, if they were going to have it done, it should be done so that it was as nearly a final book on that section as they could get. It would be easy to print a book of 20 or 30 methods, with compositions, worth ringing, but that was hardly what they wanted. What they wanted was the whole ground surveyed, if it could be surveyed, in the same way that they did in the case of the Plain Major Methods. At least, when he said the whole ground surveyed like the Plain Major Methods, he meant give a selection, because if they were going to do the Surprise methods exhaustively, and had started before the world was made, they would scarcely have scratched the surface by this time, for the number of methods ran to something like 13 trillions. But they could do a good deal, although it would be a long job, and they must not expect to see the results for some time. With regard to the Plain Royal, Cinques and Maximus, he did not think the time was ripe for anything like that. People would not ring them at present. Mr. J. S. Goldsmith said he thought it would be of more practical use if the committee, instead of starting to explore a field which was going to take years of labour and probably not result in the publication of the work in the lifetime of many of those present, would first take in hand a selection of Treble Bob methods. There were plenty of first-class methods of this type to be obtained, some of them more difficult to ring than many Surprise methods. A comparatively small volume of methods with a treble bob hunt, published at a reasonable figure, without undue delay, would serve a far more practical purpose than aiming at something which would take years to produce and publish, probably, at a cost prohibitive to the ordinary ringer. The Rev. H. Law James said they all had their own opinions, and he thought they should publish a small collection of Royal, Cinques and Maximus methods, thus finishing off the plain methods before they started on Treble Bob. If they started on the Treble Bob, this generation would be past and gone before the thing was done anything like exhaustively. The President said they could only print one book next year, if the Plain Triples was ready. If it could be done, it would be most desirable. In the meantime, Mr. James might prepare the one he suggested, and Mr. Trollope the other, and in that way they might get both (laughter). Mr. Trollope said the Council referred to them last year the revision of the report on regular methods. They had had the matter under consideration, but had nothing to report. The question was to some extent in the melting pot. It was so easy to make a definition, but so extraordinarily difficult to make a definition worth having. Look at the peal rules. Everybody had been trying to make rules for six-bell peals, but there was not one that they could not drive a coach and horses through. And they were faced with the same thing when they came to the revision of the method report. That report was never claimed to be a final statement on the matter, and since it was drawn up they had learnt a tremendous lot. The chief thing they had learned was how little they knew about the whole thing. When they drew up that report they thought they knew everything, but they were not quite so sure now, and just at present they were not prepared to make any definite statement on the point that was raised, and the committee asked to be allowed to leave the matter in abeyance. The Rev. E. S. Powell said if people had been content to go on ringing peals in one method only it might have been possible to draw up something on the terms of the resolution put to them last year, but all this multiplication of methods in one peal had thrown ringing into the melting pot. Nothing of the kind was contemplated when the report was drawn up, and it was only one of the many changes that were taking place at the present time. If they were to attempt to draw up some hard and fast rules they would probably be making a statement which, in a couple of years’ time, they might be sorry should have been made. The President: The matter will be left over until next year. The reports of members of the Towers and Belfries Committee were next presented, the Rev. C. W. O. Jenkyn, one of the members stating that in his own diocese a certain amount of work had been going on. The hon. secretary read a report received from Major J. H. B. Hesse, who was unable to be present. Major Hesse wrote that he understood that at Solihull, where he inspected the bells and advised that the whole peal be recast, the work was to be carried out, providing they got the faculty. It was the only thing to do there, as they are very keen on having a really good peal of bells, which the present lot could never be, no matter how carefully tuned. There was only one bell, namely the ninth, that could be retained, and in his report, he advised this bell being retained as a relic. Another case in which he had been called in was at Grayshott, quite near Haslemere, where there were three modern bells, tenor about 8½ cwt., all poor. He made an inspection and report on the tower, as they were anxious to know if the tower was capable of carrying a peal of eight bells with a tenor of about 8½ cwt. or 9 cwt. The tower, in his opinion, was of ample strength for this and could safely carry a peal twice the weight. He had also advised that the three old bells be recast, which was to be carried out. His other job, although the smallest of the lot, was by no means the least to him, namely, the recasting of the fifth bell at Wrington, which was the only poor bell in the peal. This had been done, and the new bell matched the old bells beautifully and was exceptionally good. A ‘deadening’ floor had been put in the ringing chamber, and the belfry now was, from a sound point of view, all that could be desired. Mr. E. A. Young, speaking as a member of the Towers and Belfries Committee, said as far as his activities were concerned, they had been confined to giving some advice in connection with the tower at Howden Church, Yorkshire, which had been badly damaged by fire. The President said his portion of the report would be the peg on which to hang some remarks respecting the question of the bells of St. Benet’s, Cambridge. They had all seen in ‘The Ringing World’ the proposal that St. Benet’s bells should once more be put into ringing order to commemorate the tercentenary year of Stedman, and the members would know most of the details of the scheme. What it was proposed to do was to rehang the bells as far as possible in the present frame and with the present style of hanging, so that the bells should remain as nearly as they could in Stedman’s day. In order to modify the sound in the immediate neighbourhood - the tower was right in the midst of Corpus College and business premises, and it was no good doing anything to the bells unless they could be rung afterwards - it was suggested that they should drop them twelve feet in the tower. Further, as the tower was one of real national interest, being one of the few complete pre-Norman Conquest towers the building must be safeguarded, and by dropping the bells twelve feet they would reduce the bending moment of the tower by 25 per cent. ; further, by slightly modifying the position of the ropes with regard to the wheels, the strain on the tower could be further reduced. As the Council would know, the matter was raised by Mr. Goldsmith, and it had obviously caught the imagination of the ringers of the country from the way the money had been coming in so far, but it would be very desirable, from the point of view of the Standing Committee, who had discussed the matter that morning, that the appeal to the ringers of the country should be given final sanction by the Council. That could be done in two ways. One was that the Council should contribute a sum to the list of subscriptions, and he was going to suggest that they give a grant of ten guineas towards the fund. The other was that they should elect certain of their members to co-operate with the Parochial Church Council of St. Benet’s in carrying out the scheme. The Parochial Church Council were the people who must get the faculty and who must be responsible. The Council would have to approach them officially as to whether they would accept the gift. If they were willing to accept it, he suggested they should appoint certain of their members to carry out the scheme with them and see the whole thing through. Proceeding, the President said another slight change which they suggested should be made in the belfry was that the ringers should ring from the ground floor instead of going up a vertical steel ladder, as they did at present, to ring on the floor above. Further, the scheme would include the provision of a tablet recording the fact that the restoration of the bells was carried out in commemoration of Fabian Stedman. With regard to the names of the committee to co-operate with the Parochial Church Council, he thought it would be wise if the Council would leave that to the Towers and Belfries Committee. The Council could trust the Committee to appoint suitable people. He proposed the adoption of the verbal reports of the members of the committee, including the recommendations that the Council make a grant of ten guineas towards the Stedman Commemoration Fund, that the Council officially offer the gift to the Parochial Church Council of St. Benet’s, and that they leave it to the Towers and Belfries Committee to appoint two or three members of the Council to co-operate with the Church Council. The Rev. F. Ll. Edwards said as one who many years ago had the privilege of ringing on these bells, he would like to second the motion. Mr. J. S. Goldsmith said, as instigator of the scheme, the proposals put forward by the president had his full approval. He was anxious that the commemoration should be a national one, and for that reason he desired to see the Council taking official part in it. He would be only too glad to continue to act as ‘publicity agent’ (applause). NO ROOM FOR MORE BELLS. Mr. W. Willson said it appeared to him that the money they were asking for ought to be sufficient to restore the bells and provide two trebles. He thought two new bells should be put in as a memorial to Stedman, otherwise 50 years hence the work of this generation would be forgotten. Why not go the ‘whole hog’? The President said his answer to that was to ask Mr. Willson if he had seen the tower; did he know the tower? Mr. Willson said he did not know the tower. The President said it would be impossible to put two more trebles in the tower with any sort of satisfaction. There was only just room for the existing six. The President added that the proposed scheme would involve some work to the tower, because it would be necessary to put in a concrete beam round the walls to take the beams of the dropped frame. The amount which had been mentioned was only a rough estimate. Although the frame was old it seemed perfectly sound as far as one could see from a hurried inspection. There was practically no movement of the frame - it was not more than one-sixteenth of an inch when any of the bells were rung singly. They felt that it would be far more appropriate that the bells should be hung as far as possible as they were in Stedman’s time. If they tried to put them in modern hangings they might get various authorities up against them as well as the opposition of the local authorities. It was a delightful old tower, the bells were hung in the old-fashioned way, and, personally, he should prefer to see them hung in the same manner as an historical memorial. Mr. Lewis said there was one other point. He thought they should formally appoint a treasurer of the fund. Mr. A. Paddon Smith proposed that the Rev. C. W. O. Jenkyn should continue in office.- Mr. Young seconded, and the motion was carried. The President said he thought they ought to thank Mr. Goldsmith and say how much they owed to him for having made the suggestion and having carried it as far as he had done (applause). Mr. Lewis added that when he and Mr. Goldsmith went to Cambridge to inspect the tower they took along with them the secretary of the Society for the Protection of Ancient Buildings. The result was that they had got him entirely on their side, provided they carried out the scheme on the lines he had mentioned; in fact, Mr. Powys went so far as to say he would be prepared, if they wished it, to issue an appeal to his members for funds (hear, hear). Mr. Young: Of course, we would rather do it ourselves. The next report should have been that of the Records Committee, but the Rev. H. Law James said he was sorry he had nothing to report. The Rev. A. T. Beeston used to do this work, but when he retired last year the records were handed to Mr. T. Hervey Beams, who, as they knew, had since died, and where the records were today he (the speaker) did not know. Not having the previous records to work from, it was impossible to carry them forward. Although he was put on this committee, it was not the sort of work that appealed to him in any way, and he would be glad to be released. Mr. G. L. Grover said he must apologise and plead guilty for the non-appearance of the report, but he recommended himself to mercy with a certain amount of confidence (laughter). He thought that as the junior member of the committee his only duty would be formally to approve of the report (laughter). If, however, he could get hold of the papers which had been before the Council on previous occasions, and it would relieve Mr. James to any extent, he would be pleased to present a report covering the whole of the two years at the next meeting of the Council (applause). The President said the hon. secretary would endeavour to discover where the records were and hand them over to the committee. The Council then proceeded to consider the motions on the agenda. The Rev. F. Ll. Edwards moved: ‘When any peal, practice or ringers’ meeting previously arranged happen through unforeseen circumstances to coincide with an occasion of public mourning, whether national or local, it should be the normal procedure to make emergency arrangements with the proper authorities for the muffling of the bells before use, care being taken, unless otherwise directed, to have the muffles removed at the conclusion of the ringing.’ Nothing that he was going to say, he remarked, was intended to apply to any Sunday, festival or occasion of public rejoicing, but, apart from that, the motion would not have been necessary, or hardly necessary, if all the clergy in charge of churches with peals of bells were well instructed in the use of bells and thoroughly alive to their responsibility. But at present, unfortunately, the care and use of bells was not a subject that found a place in the curriculum of theological colleges, and he had never heard of any Bishop including questions on the subject in the examination of candidates for the ministry. That being the case, ringers must be prepared to act on their own initiative, and he had put this motion on the agenda with a view, if possible, to avoiding unfortunate and regrettable occurrences in future. On almost any Saturday in the year there were a large number of ringers’ fixtures previously arranged - sometimes peals and in other cases meetings of associations and, in a few instances, perhaps, ordinary practices. They never knew when they arranged anything on a particular day what might happen. The King or the Queen might die, or the Vicar of the parish or his wife or child. In such a case ringing would not be done with open bells - of course it would not; but there were many more instances, which people did not always think of, when it would be entirely inappropriate to ring the bells open. The greatest care should be taken that ringers did not get a bad name by ringing with open bells when the feelings of the parishioners were out of harmony with it. For example, the churchwarden of the parish, or his wife, might have died and been buried perhaps that very day. If a body of ringers went to the parish and rang the bells open for several hours - with the best of intentions - it would jar on the feelings of the parishioners, and the ringers would get a bad name. It was to meet cases like that that there should be a regular understanding that those who arranged such meetings or practices should be prepared to get the bells muffled and ring them muffled or cancel the ringing altogether. In the case of a peal, it was more or less easy to cancel it, but in the case of a general meeting they could not cancel it without putting some people to inconvenience. The best way to deal with it was to muffle the bells. That would give the ringers a good name. Mr. Edwards want on to quote some specific instances where local or national feeling had been disregarded by the ringing of open bells, one being the ringing of open peals on the day of the burial of the victims of the R101 disaster. By ignoring public feeling on occasions such as this ringers were doing themselves great harm, for the sound of open bells at such a time only caused indignation. Again, it was not very long since the Princess Royal died. Her funeral took place on a Saturday. There, again, probably a great many bells were rung open, because meetings had been previously arranged, though in some cases muffled peals were rung, but it was most inappropriate that bells should be rung open when any member of the royal family was being interred, except if it happened to be on a festival. The Council could give guidance in this matter, and those who arranged any sort of ringing should be prepared in any case like that to arrange with the proper authorities, the Vicar or the steeplekeeper, to get the bells muffled and use them muffled, and any association should be prepared to pay a small fee, if necessary, for having the muffles put on and removed. He put in the last proviso, so that if muffles were put on, the local ringers should not find, when they began to use the bells for the church services on Sunday, that the muffles had not been removed. He thought it was advisable that the Council should give general advice to those making ringing fixtures to be prepared to act in such a way in case of emergency. Mr. Cave seconded, and the President said he thought they would all agree with the sentiments of the motion. The Rev. H. Law James said muffled bells on Saturday afternoon or Sunday seemed to him to be a denial of the doctrine of the Resurrection. The Rev. W. P. Farrow said in this resolution lay a great opportunity for the Council. It was a splendid chance for them to show that they desired to do nothing against public feeling. In his own parish they would be delighted to hear that the Church Council had done such a thing, and respected the sorrow of the poor as well as of the rich. He thought this was a great opportunity to call the attention of incumbents to the work of the Central Council. Mr. G. R. Newton moved: ‘That in the interests of the Exercise this Council takes such steps as they deem necessary for the registration of compositions.’ This was a matter, he said, which should have been tackled years ago by the Council; it was something that had been constantly cropping up on the question of claiming other people’s peals. After he had put his motion forward, he saw an article by Mr. Trollope in ‘The Ringing World’ which stated that it was impossible for a register of compositions to be established. That was a debatable point, but his first impulse was to withdraw the motion. However, he thought it was only right that the Council should have a chance to discuss the facts and express their opinion with regard to it. Mr. Newton proceeded to read an article which appeared in ‘The Ringing World’ in October, 1928, advocating the provision of such a register, and Mr. Trollope’s article saying that it was practically impossible. In spite of what Mr. Trollope said, added Mr. Newton, he still maintained it was possible, if they got the right men to set up this register. He realised that it would be a colossal task and would require a young and enthusiastic man to take it up. A year ago he was speaking to a certain ringer with regard to it, and asked him if, in the event of the Council deciding to set up this register he would take part in the work, and only recently he had received a card from him saying he would be pleased to assist in any way he could if the resolution was passed by the Council. If it could be done it would be a big step towards establishing the authorship of peals, and would be of great benefit to the Exercise. The young man he had in mind was one of the cleverest young men in the Exercise, and he believed others would come forward and assist in compiling the register. Mr. A. E. Sharman formally seconded the motion. Rev. H. Law James said the Council had already published a collection of Plain Major peals; they had also got a collection of Treble Bob peals, but there had never been a collection of Surprise compositions published, and if only these collections could be carried on he thought there would be some good come of it. Mr. Trollope said, as his article had been quoted, he could only say that in his opinion it was absolutely impossible to get a register of compositions to decide what should be called original. It could not be done. If a man were to start now and work for a hundred years working out the variations of different peals and filing them he would hardly have touched the thing. The only thing would be to set up a low standard. When a man knew anything about how figures ran, and understood the working of Q sets, he could sit down and write out peals as fast as he liked, and in that case there was no such thing as original composition as they understood it in the old style. He did not mean to say that there was no scope at all for composition. In the case of a composition like Mr. Law James’ spliced Surprise peal, that was something a man could call his own, because he had done something no one else had done, but when they got hold of original peals they had got a certain formula which would provide them with so many variations that if they tried to file them, even in the case of Bob Major, which was the simplest of things, they would find it absolutely impossible. The only thing they would do would be to set up a low standard of composition. What they had to do was to get people to realise that the old idea of composition with its reverse and variations as an independent thing, no longer held good. They had got to get rid of the idea of putting a name at the bottom of every composition, for it was hardly likely in these days that anyone could get a composition of the ordinary sort that was original. The Rev. H. S. T. Richardson said he had a great deal of sympathy with the article in ‘The Ringing World’ which was quoted by Mr. Newton, and with what Mr. Newton said. If they could contrive something of the sort it would be extremely useful. He thought however there was something in the view which Mr. Trollope expressed that it would tend to set up a low standard. What would happen, probably, was that a composition would be produced, and if the exact figures were not found in the register, that composition would be labelled original. Mr. Trollope had told them something about variations; he had suffered a great deal in the last ten or fifteen years in hunting out variations, and he could assure them that even by ordinary rule-of-thumb variations compositions were innumerable and the labour when this register existed, if some composition was submitted, might be considerable. It might require several days before it could be said with any sort of confidence whether the composition was in the register already or whether it was not. The thing really was very difficult. He thought it was a good thing the subject had been ventilated, but he did not think the way out of it was by setting up the suggested register of compositions; he was quite sure from his own experience that it would not have the desired effect. It would not prevent compositions which were not original from being published as original compositions. What, however, he thought was emphatically worth while was that something should go down among the decisions of the Council as to the great desirability of taking all possible steps to consult the collections to find out if a composition was original before being claimed as such. It was all to the good that attention should be drawn to the matter and a sort of warning sounded. He wondered whether it would be of value to have some little pamphlet, simply and solely on variations, produced by the Council. It would not meet the exact difficulty, but it would help to instruct ringers generally. The President asked if Mr. Richardson thought good might be served by having a small committee to explore the subject and possibly bring out the pamphlet he had suggested, while carefully considering the pros and cons of the proposed register, and possibly bring the matter forward again. He did not think it was fair, so late in the afternoon, to turn down such a proposal as had been made, for it was quite clear the experts were not entirely agreed. They all had a great deal of sympathy with what Mr. Newton had proposed. He suggested that possibly the Peals Collection Committee would do what had been suggested. Mr. Newton said he would agree with this course being taken. Mr. Elwell said they ought to add Mr. Newton to the committee. Mr. Newton: That is not quite in my province. I have in mind someone, but he is not on the Council. The President said the committee would be only too glad to have the co-operation of someone who was not on the Council, and if it was desired they could arrange later to get him on the Council as an hon. member. Mr. Newton said the gentleman he had in mind was Mr. C. W. Roberts, of London. The Rev. E. S. Powell, who is a member of the committee, said he did not wish to serve on it for this purpose. He was quite sure that the attempt to form anything in the nature of a register would ultimately do distinctly more harm than good. If they could go on collecting and printing selected useful compositions in various methods they would be getting a standard and showing conductors the standard of what had been produced in the past. He was quite sure it would be a sheer waste of time and labour on the part of the committee to try and set about forming a register. Actually, when they got down to brass tacks, they would find that it could not be done. It was mentioned that at present the Peals Collection Committee consisted of the Rev. H. S. T. Richardson, Rev. E. S. Powell, Mrs. Fletcher, Messrs. J. A. Trollope, H. W. Wilde and J. W. Parker. Mr. Trollope said it would hardly be fair for him to continue on the committee, having already committed himself to an opinion. It was ultimately resolved that the matter be referred to a committee consisting of the Rev. H. S. T. Richardson, Mr. Wilde and Mrs. Fletcher, with power to add to their number, including Mr. J. W. Parker if he would serve, it being left with them, if they could draw up the suggested pamphlet, to get on with that part of the work. Mr. J. S. Goldsmith moved: ‘That this Council deprecates the ringing of peals of Minor with a covering bell or bells, and peals of Doubles with more than one covering bell, and recommends guilds and associations to discourage this practice.’ He said that to ring Minor with covering bells was against the canons of the art. It was never intended that even-bell methods should be rung with covers. With regard to peals of Doubles which were sometimes rung with three covering bells, it could not be said, he claimed, that the ringers of the two extra covers had rung a peal; the best that could be said for their performance was that they had rung rounds 5,040 times. Peal ringing had reached such a standard in these days that the Council should now definitely discourage such performances as were included in this motion, and he hoped the associations would in the same way discourage their members from ringing peals of the kind referred to.- Mr. A. H. Pulling seconded. The President, in putting the motion, said another reason against ringing peals with two or three covers was the effect on the nerves of those outside who had to listen to the bells. It was one of the duties of the Council to see that ringing was made such as would be appreciated by the parishioners. The Rev. H. Drake next moved: ‘(a) That the words, Reverse, Double, Little or Bob be not used as names of methods, and (b) that the terms “shunt” and “hunting backwards” are not approved.’ Dealing first with (a), he said the terms should be applied only to classes of methods and not to the methods themselves. The question had already been discussed in correspondence that appeared some time ago over a method that was called Double Little Bob by some, and others wanted to call it ‘Erith Little Bob.’ His point was Erith Little Bob was a name, but Double Little Bob was not. The terms described classes and ought not to be used as names of methods. He was not asking the Council to decide whether such methods were double or little; the point was whether they should use Double or Little as a name of a method. He contended that they should not call methods by these particular words, but use them as descriptions and not as names. Mr. C. Mee formally seconded the motion. The Rev. H. Law James asked Mr. Drake to tell them who used these categories as names. Mr. Trollope said when they talked about Bob Major, that was what they called a method; it was not the name of it. If they looked at it from that point of view they would see it was quite all right. The Rev. H. Drake said in Suffolk they always called it ‘Plain’; they did not call it Bob at all. Plain was the name of it, and they said ‘Go, Plain,’ not ‘Go, Bob.’ They ought to call the method ‘Plain,’ and if they had the reverse of, it they should call it ‘Reverse Plain’ and not ‘Reverse Bob’ (‘Oh’ and laughter). His motion did not refer to the past; it referred to the future. The Rev. H. Law James said Mr. Drake had raised another point, that what was commonly called ‘Bob’ was ‘Plain.’ ‘Plain’ was a category, and if they went back to the edition of ‘Campanalogia’ in 1677 they would find it had got a name, and the name was ‘Grandsire Bob.’ In practice the name had been dropped. Grandsire Doubles was Doubles with two plain hunts, and Grandsire Bob was Bob Minor; and that was its name. The Rev. H. Drake said it did not matter whether they called it Plain or Grandsire; neither of these words occurred in his resolution. Mr. Pulling said some years ago Mr. Lindoff published a method which he called Dublin; Mr. Bankes James, shortly after, published the double method, which he called Double Dublin. Mr. Goldsmith turned the original method round and called it Reverse Dublin. Could Mr. Drake suggest any better way of describing these methods? Mr. Drake said the descriptions were all right. The terms should be used as descriptions of classes. If they had Dublin and reversed it they did not call it ‘Reverse’ without the Dublin (laughter). A member said that, in this year of Stedman’s tercentenary, when the Council had just voted ten guineas to the Tercentenary Fund, for a representative of the eastern counties - Stedman’s own district - to come there and try to abolish the terms that Stedman himself had used, was indeed very, very sad (laughter). The motion, on being put, was lost by an overwhelming majority. The Rev. H. Drake then moved the second part of his motion. ‘Shunt,’ he said, was a word which they used in the wrong place. It did not mean what it was intended to imply. The right word to use was ‘move.’ With regard to ‘hunting backwards,’ he did not know what it meant, and no one had been able to tell him. It had been said that a quick six in Stedman was hunting forward, and a slow six was hunting backward, but a slow six was not hunting, and it was not backwards. Of the sixes, one was even work and the other odd work. Mr. Mee was the formal seconder of this motion. The Rev. H. Law James said he believed he was responsible for the use of both these terms. Mr. T. Faulkner: I shouldn’t be surprised (laughter). Mr. James said the word ‘shunt’ was a word adopted to deal with three-bell Q sets, simply because Thompson used it in his pamphlet on Grandsire Triples. That was where it came from. Thompson used it, and he (Mr. James) considered he was justified in using the same term to express the same thing. With regard to hunting backwards it was quite right to say that a slow six was hunting backwards. In Minor they normally started 214365, but in London Surprise they began 213546; 21 were hunting forward, 3456, were hunting backwards; then the treble dodged, and, the whole six bells were hunting backwards. A dodge was nothing on earth but hunting backwards, and he did not know any other way of expressing it. Mr. Trollope said the term hunting backwards was a proper use of English language. They all knew what hunting was as applied to ringing and hunting backwards was - well, simply hunting backwards (laughter). If they could get a hand bell band after that meeting to ring a course of Bob Major backwards, they would have plenty of fun and they would know what hunting backwards was. They could not stop people using the English language. Mr. Drake said he had no objection to using the English language if it was used so that it could be understood. Mr. Trollope: That is the fault of the people, not the fault of the language. The Council was next called upon to consider the place of next year’s meeting, which is due to be held in the South. The President said the Standing Committee recommended Wells. Mr. J. Hunt said, on behalf of the Bath and Wells Association, he was requested to invite the Council to Bath. They would have liked the Council to visit Wells, but from inquiries they had made they found it was doubtful if there would be accommodation there for all the members. The Theological College would be in session, and at Whitsun there were always a large number of visiting friends of the students, and all the accommodation in the city was full up. The association would give the Council a hearty welcome to Bath. They asked the Council to come there eight or nine years ago, and hoped they would visit there next year. The Council had never paid a visit to Somerset, and the association would be very pleased to see them there, and would do everything they could to make the visit a happy one. Mr. J. Parker said he did not see how they could go to Bath and call it South. He proposed they visit Portsmouth. The Rev. E. S. Powell said the Council had several times been invited to visit Plymouth, and once actually decided to go there, but the war caused the meeting to be cancelled. Plymouth was South. Bath or Wells was distinctly west (laughter), The Devon Guild would welcome them very cordially if they would go to Plymouth and fulfil this long-standing promise. Mr. Coles seconded, and said one good reason for visiting Plymouth was that it was within reach of that most beautiful Abbey at Buckfastleigh, which would be a source of interest to everyone, and he did not think there would be any great difficulty in the Council obtaining permission to ring on the peal of twelve bells at that place. The Rev. H. Law James pointed out that while they had never yet visited the Bath and Wells Association, they had visited the Devon ringers, for one meeting had been held at Exeter. Mr. C. H. Jennings suggested that the Council should go to Bournemouth for the next meeting, and Mr. Parker withdrew Portsmouth in favour of this. On being put to the vote, Plymouth was declared selected, the voting being Plymouth 35, Bath 31, and Bournemouth 6. On the item of ‘other business,’ Mr. T. Faulkner suggested that in future the members of the Council should be individually summoned to the meetings by notice, and that a copy of the agenda should, be sent out at least 10 days before the meeting. He moved that this be done. Mr. C. H. Kippin seconded Mr. Faulkner’s proposal. Mr. James George said everything should be done through ‘The Ringing World.’ It was only right that the ringing public should know what was going on. Mr. Faulkner’s motion was lost. The Rev. F. Ll. 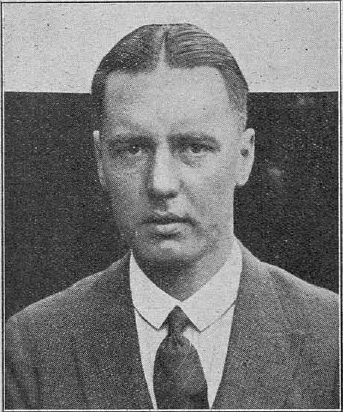 Edwards said the Literature Committee was charged with the defence of ringers’ rights, and he asked, wherever they were threatened and it was thought the services of the committee could be of use, that those concerned should at once communicate with the secretary of the Council or one of the members of the committee. In one case which occurred last year they were able to do useful work. The president proposed a vote of thanks to the local committee of the Lancashire Association, who had made the most successful arrangements for the meeting, and in that connection, he said, they specially thanked Canon Elsee (the president of the association), Mr. G. R. Newton, and Mr. Claude Davies, who had done so much of the detailed work., and done it exceedingly well (applause). Mr. Lewis also proposed that a formal letter of thanks be sent to the Lord Mayor for his kindness in placing at their disposal the Council Chamber, which, he thought, was one of the best rooms in which they had ever met. The Council were not only grateful to the Lord Mayor for this kindness, but also for meeting them that morning and for his hospitality which they were to enjoy (applause). They also had to thank the Bishop for his presence and his words of encouragement, the incumbents of the various churches where the members of the Council had had the use of the bells, and also Mr. Lange, churchwarden of St. Nicholas’, who kindly entertained members and their friends, to the number of 62, after ringing at Oxton on the previous day. In addition, he thanked Archdeacon Howson for taking parties over the Cathedral (applause). Canon Elsee, in acknowledging the vote of thanks, said the Council’s thanks were due, not so much to the Lancashire Association as to Mr. Davies, who had really done the work. He was glad to see that his figure had not diminished as the result of his efforts (laughter and applause). Canon Elsee concluded by proposing a vote of thanks to the president for his services in the chair, and, this having been carried with applause, the meeting terminated. The members, joined by numerous friends, were then the guests of the Lord Mayor at tea, which was served in one of the magnificent reception rooms. The Lord Mayor and Lady Mayoress mingled freely with their guests and were photographed with a company who rang a handbell touch for their edification. During the proceedings, the Liverpool Police Orchestra discoursed a selection of music. Many ringers afterwards took the opportunity of ringing on the twelve bells of St. Nicholas’ Church, and subsequently at headquarters, the Stork Hotel, an enjoyable social was held. There was an excellent entertainment of vocal and instrumental music, a professor of sleight of hand mystified the company, handbell ringing, including the backward course of Bob Major, was indulged in, glasses clinked and tongues wagged, and the time for separation came all too soon. Socially, at any rate, the Liverpool meeting has never been exceeded in its success in the history of the Council. The bells of St. Nicholas’ Church offered a great attraction to many of the ringers who visited Liverpool for the Central Council meeting, and, in addition to the peal rung on them on Monday, they were well utilised on Tuesday evening. The first stone of t he present tower was laid on September 25th, 1811, and a ring of twelve bells ordered from W. Dobson, of Downham, Norfolk, and these were rung on June 4th, 1814, although the steeple was not completed until August 4th, 1815. The 2nd, 3rd, 6th and 8th are survivals of t he former ring of 1724, of which the 2nd was the treble and the 8th the tenor. The present tenor was recast in 1911 by Warner, and weighs 39 cwt. 3 qr. 10 lb. On the Wednesday evening several Masonic members of the Central Council were, on the invitation of Bro. C. I. Davies, the guests of the Lancastrian Lodge. At the banquet following the ceremony, the Worshipful Master made reference to their presence, and their health was proposed by the Provincial Grand Chaplain of West Lancashire and enthusiastically honoured. Wor.-Bro. J. S. Pritchett, Assistant Prov. G.M. (Warws), in response, expressed the great pleasure of all the visitors at the warm, welcome extended to them. Courses of Grandsire were rung on handbells, in which Wor.Bro. F. Ll. Edwards, Prov. G. Chaplain (Dorset) and Bros. E. Barker, F. Perrins, C. I. Davies and G. R. Newton took part. An attempt at a Masonic peal during the afternoon had unfortunately to be abandoned owing to the heavy ‘go’ of the bells.